If you want to be a successful investor sometimes it’s important to change the way you think about money and how to make it.When it comes to investing, so often, people are focused on this next property or this next strategy. 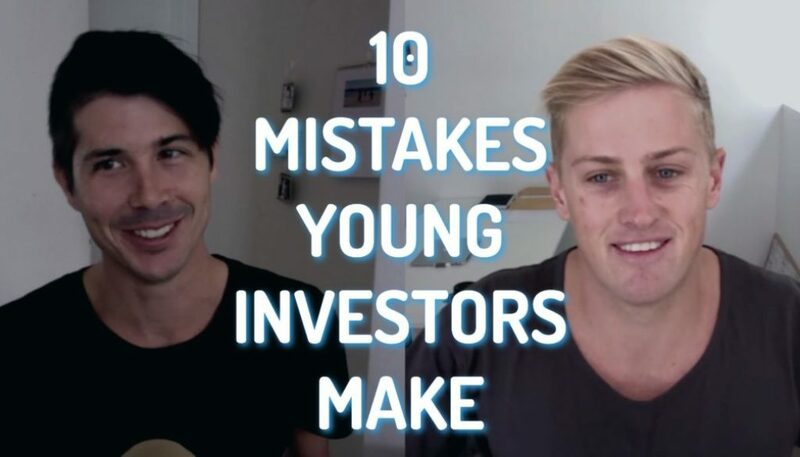 But sometimes, it’s really important to get your mindset right first and to understand the way that you think about money, improve the way you think about money because that can actually leapfrog you in terms of your property investing. In terms of your financial freedom. So today, I have the on and only, Ben Everingham, the buyer’s agent, with me and we are going to talk about money mindsets. Because we’ve both been through an interesting journey in terms of how we earn money, how we think about money. And so, we thought that it’d be valuable to talk about to you guys through our journey and to try and encourage you to think about money a little bit differently. And hopefully, that will impact your life and help you achieve your goals – whether it be financial freedom or whatever it may be. Ryan: Hey Ben. Thanks for coming on today. Ben: Good day Ryan. Thanks for the pleasant adventure. I love that. Ryan: So let’s first share our stories. We’ll start with you in terms of where did you come from in terms of how did you start, in terms of being an employee and how you thought about money and then we’ll get to when you left your job and then we’ll talk about where you are now towards the end of the show. Ben: Sure. Beautiful. If I think about where my journey started, I actually lived in a trailer. Trailer trash. It’s not that bad. It wasn’t a caravan park or anything like that. Not there’s anything wrong with that. Ryan: In the next episode, we’re going to be talking about goals. And you had come from a trailer and I’m kind of heading towards a trailer. Ben: You are heading to a trailer. I wanted to say that, but I thought it was too cheeky. Ryan: It’d be interesting to talk about that in the next episode. So you started in a trailer. What do you mean? Ben: Yeah. Basically, my parents bought a trailer and they moved into my grandparents’ driveway because that was when interest rates were 18% and absolutely crazy. The bank also wanted you to have a 20%-30% deposit upfront in the early ’80s. So my parents and I and my sister lived in a trailer for about 2-3 years. From basically, the time I was born ’til I was 3.5 or 4 and my parents scraped together money they needed to buy that first property. So that’s kind of where it all started for me. Obviously, there’s things that you’d pickup in those years that you don’t even know around money. I’m sure at the time, money was extremely tight for my family. Otherwise, we wouldn’t have been in the driveway at my grandparents’ house, eating with them every night at their expense. A lot of that stuff was passed on to me. The reason I say that is because a huge amount of the way that I see money and the things that I had to personally overcome has to do with that environment that I grew up in. Kind of fast forward 10 years, 15 years, the next meaningful thing that happened for me was that my dad actually left his full time job where he was earning really good money and started a business. He’d always done pretty well as an employee, like really well. Went earned well above average income and then went and started this business and took a punt. Over a period of 10 years, accumulated, financial security, I suppose, through that business. He’s got a great business where he literally goes in about a day a week now and it provides him with a consistent income source and the business is relatively stable. I learnt from a young age that if you go into the right thing and do it the right way, there is that possibility to work really, really, really hard at the start and then, potentially work less hard in the future. And that’s always something that’s stuck with me. I might just finish it up there. Ryan: Yeah, well, I had a very different upbringing to you because I grew up with quite – not wealthy, but definitely like upper-middle class sort of family. My dad was a stay-at-home dad. My mom worked in financing, computing finance. She’s like a mathematician genius sort of person. Ben: That explains so many things. I never knew that about you. Ryan: So we grew up and my mom was earning like really good money. And so, we never had to think about money. I was always a bit of a strange kid in terms of money. My dad would have this cupboard where he would leave money out and we could take it whenever we wanted. And so, I would just take the money that I needed, like $5, $10, whatever I needed. But my sister would just raid that thing hard. She used to take $50 notes when she’d only need $10 and just keep the change. And then, my dad got smart and he’s like, okay, I’ll get all these bunch of $5 and $10 notes so someone’s only taking $10 and not getting change. I just kept doing what I was doing, but Sara would just take $10 notes or something. So it didn’t really work. I grew up in a situation where we had a lot of money. We had “financial security” so forth from my mom’s job and we didn’t need to think about money. We had comfort, we went on holidays and that sort of stuff. And then, after school, I was thinking about maybe becoming a youth pastor or something like that. Something that didn’t really have any financial security. My mom wasn’t really into that because she grew up and her dad started his own business – a farm up in Darwin and it just went really bad. So she went through a similar thing to you where they were quite poor and didn’t really have the financial backing that they needed. So she kind of grew up with this sort of mindset that impacted how she saw things. But then, I grew up in a different aspect where I’ve always got this security to fall back on. I’ve always got my parents or the government or stuff like that. So I’ve kind of, I guess, I approached it all differently where I was like, okay, I could be a youth pastor and own nothing or I could start a business which may or may not succeed. I guess our starting points are so different. Ben: Yup. Obviously, I spent all of my 20’s completely hustling and chasing investment properties and chasing the corporate world and stuff like that. A big part of that was to prove to myself that I could get security in my life and we’ve had personal conversations about that before. I’m not saying that by the time I was 18 years of age, we were living a very comfortable life as well. My dad had completely turned our situation around. So I’d also seen that you could come from nothing and could create something and that was a really cool thing to see as well. Ryan: Yeah. Whereas, I spent my early years, I went to Bible college for 2.5 years and earned nothing there. And then, I got married at 20 and I kind of started my own online business then and was trying to make that work, but was earning basically nothing. I had the smarts, I got really good grades at school. I had the opportunity to go into a career path, but from an early day, I decided that’s not something I wanted, that I wanted to go after lifestyle first and then let the money come second. Which I guess is different to you. You kind of went hard after the financial security first so you could have the lifestyle second. Is that right? Ben: Yeah. But it’s finally have ebbs and flows of everything. You know, you end up on your purpose and your passion and this is what I found now. I made a lot decisions early on based on what other people thought I should do or what I sort of thought that I should do in a “traditional” sense, rather than just going, “I absolutely love this. I’m fantastic at this. How can I make a future based on what I love and what I’m good at?” which is what I’m doing now. And once you find that, whatever it is, it’s so easy to do what you do because there’s no resistance everyday. Ryan: Well, I was trying to do that in the early days, trying to start my own business, which wasn’t really working. I didn’t really have the skills and know-how to do it and I was making a lot mistakes. And then, after we had our first child, I kind of got more heavily into the career path. After our second child, I had ended up getting promoted to the point where I was earning about $100,000 year with a free work car as well. I was working as a pharmaceutical rep in a good role. Things had very much changed for me. The carefree lifestyle, I didn’t care if we have money. To now, I’ve got all of these mouths to feed. My wife wasn’t working, so I’m responsible for her as well. I think a lot of people find themselves, not necessarily in that situation where you’re 23 or 24 and you got 2 kids already. But a lot of people find themselves in the situation where are in employment, which they may enjoy or they may not. There was aspects in my job that I liked, aspects that I didn’t. I was making enough money to get by and be comfortable. But I didn’t feel like I was making much progress in terms of my financial freedom, in terms of where I wanted to be and the lifestyle that I wanted to have. I worked really hard, really long hours and I felt like at the end of each month, we’d be saving like $200 a month, if that, or maybe paying down a little bit of debt. Did you find yourself in a similar situation? Ben: Absolutely. It took me a long time to actually get to a point where I was earning more than enough money in my day job to actually save and move forward properly. My wife, Lisa, and I had been together since we were 23 as well. So we had that combined income, which helped. But I wasn’t earning great money and neither was she for a long time. 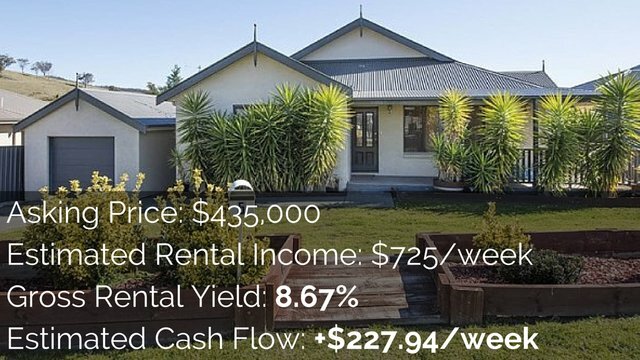 I think we bought our first 5 or 6 properties with the combined annual income of less than $120,000 a year – it was very low. I remember at times – I was probably more of a risk-taker then than I am now – at times, I would go commit to a property going, “Okay, by 6 months from now, I’m going to have an investment property.” I didn’t have any money in the bank and over that 6-month period, we just worked really hard. And then, we put the deposit down and not have enough money to pay stamp duty, for example. We would just have to make it work somehow and that’s where I started to learn about if my income isn’t going to enable me to do this, how can I even move into a profession that allows me to earn a base and make chunks of income like a market role or sales role or a project management role allows you. Or alternatively, how can I create something for myself on the side and start generating a little bit of income through that as well. But so many times, I remember just before our first bub was born, we bought this property, which was a deceased estate that hadn’t been touched in 40 years and we moved in like 4 weeks before. She was due like least that, it was summer. I remember going to the mortgage broker and when we first started talking about it with them, she was only a couple of week pregnant and earning money. And then by the time we got around to finding the property and had the money, she was completely pregnant. So it’s the middle of summer and she’s wearing this big jacket to the brokers so that we could pretend that she wasn’t pregnant so we could get this property over the line because we knew it was a good one. We managed to get there and then moved in and it was a shocker! Did all the renovation ourselves and there’s weeks where I’m like starting from a negative position on my credit card and just going, “I can’t see any way out of it.” but probably through eating a lot of rust and a lot of cheap food, we managed to get through those times. And that’s character building for now because nothing’s going to be as tough as some that stuff you have to go through. Ryan: So one of the reason that we wanted to tell our stories and things that we went through is because there was a few key ideas that I think we both kind of latched on to that really changed the way that we thought about money and really changed the trajectory of our lives and in terms of our financial freedom. I feel like that’s been really important for me. To understand that the way that you ask yourself questions or the way that you tell yourself things affects how your mind thinks. And if you say, “I can’t afford that house.” you mind just shuts down and you stop thinking about it and you’re not moving forward anymore. But if you say, “Okay, well, how can I afford that?” then, it kind of gets the cogs turning in your mind, gets you to start thinking and down paths. There was a lot of paths where I went down where I’m like, “Okay, how can I afford that?” and I would go down the path almost towards almost toward the end and find that it just didn’t work for some reason. I feel like I did that like 10 or 100 times, like, how can I afford this? Until I actually got to something where I could afford it and I could make it happen. So it’s not going to work every time, but I feel like that is an idea that people should think about, is don’t say, “I can’t afford it.” but say, “How can I afford it?” to start to get yourself to think about it. Ben: Absolutely. I 100% agree with that. Despite the upbringing that I had in the very early days, since I was 20 I’ve always thought, I’ve never said “No” to something that I want to achieve. So, that question is, “How can I make this happen?”, as you said, as opposed to, “I can’t make this happen. No, this isn’t an option for me.” And sometimes, just by having that conversation, you get to think creatively and freely and all of a sudden, an option comes up that you never even expected as well. It’s funny how things interject in your life when you’re focused on a very specific goal. Ryan: Yeah. Something else that I found really important to me was this concept that I got from Robert Kiyosaki in Rich Dad, Poor Dad that states, “the rich don’t work for money”. It took me years to really understand what this meant. Because, you think, “Okay, if you want to be rich, you need to have money. Obviously, the rich work for money. They work to get money.” What I feel like he’s talking about is that the rich don’t trade their time for dollars. So they don’t work necessarily as an employee in terms of you get $50 an hour or $100 an hour or $20 an hour or whatever it may be. The rich work in ways that doesn’t directly earn them money. So they might work to build a business or like you did, work on building your portfolio. You’re not directly getting money back for the hours that you spend in. However, you’re working to build something that is then going to deliver you money. I feel like taking that side approach rather than saying, “Okay, how can I earn more income in my job?” and taking a step sideways and saying, “Well, how can I start a business that earns money or start something on the side that earns money or invest in property that earns money.” I feel that side approach is the easier way to financial freedom than trying to do it directly through the income that you earn through your job. Ben: Absolutely. I love that book. That book was probably the foundation for me. I read it in the second last year of university and it was that book that made me start going, “Okay, property is a way to move forward.” because I, at the time, didn’t realize that I was going to start my own business and didn’t know that that was my path. I remember, after I left my last full time to start this business full time, I was just so caught up in my mind then. The problem with working for someone else sometimes is that their mindset slightly becomes yours and you learn all this stuff over time, which isn’t the real authentic version of yourself and you get caught up with all their baggage around things. I actually went, while I was starting this business and actually, my brother-in-law runs the landscaping and building company and I just literally laboured for him for 3 months. Ryan: Often, you’re not allowed to. Your forbidden as part of your contract. Ben: Yeah, exactly. They don’t want you talking about that because people get jealous. But in the trade world, it’s kind of like, well, he’s earning $45 an hour, I’m earning $50 an hour and then that guy earning $45 will go and hit the boss up for a pay raise and it’s kind of more acceptable. But the problem with that thinking is that it’s an hourly rate and they think people earning great hourly rates are in a better financial position, but earning a better hourly rate doesn’t set you up for anything more, except for more expenses in your life because your lifestyle increases to cover that rate. I suppose that’s the long way of saying the things that I loved out of that Rich Dad, Poor Dad book in Robert Kiyosaki’s philosophy is that businesses are better than wages and assets are better than savings. What we mean there is you can’t save your way to financial freedom. You need to invest your way there. And you’re not going to save your way to wealth, either. You’re going to have to create something at some point, whether that’s a great job that you invest in or a business that you start what works without you at some point in the future. And that’s really how you create that ultimate lifestyle that I suppose you and I are definitely looking to work towards. Because who wants to work 70 hours a week for the rest of their lives? Ryan: Well, that’s the thing and we’re going to do a full series on all the different ways to think about money and try and improve your mindset. One of them will be, “What do you do after you achieve financial freedom?” Because I’m in the position where through the businesses that I run, I’ve got a kind of semi-version of financial freedom where I could effectively work about a day a week and I would be fine to live my life and do that. And I know Ben has also achieved financial freedom through his property investments as well. So we’re both kind of in that situation. That will be good to talk about in the future, but I feel like, I don’t know, there’s something about when we were earning incomes as employees and kind of when I was an employee, just every single month, I just didn’t seem to move forward. And I feel like now, that I’ve started my business, I focused on creating value, I haven’t so much improved in terms of the way that I handle money. I’m not the best saver in the world. As our income goes up, then our finances tend to rise with it as well. I’m not the best at that, but because I’ve been able to create this online asset, these businesses that I have, it kind of funds our lifestyle even though we haven’t got better at it. An approach I always thought about when I was working towards financial freedom is I didn’t focus so much on how do I be more frugal? Well, reduce debt was a part of it, but I wasn’t so much focused on how do I save more? Because I knew that wasn’t a core strength of mine. I knew that I wasn’t very good at saving. I knew that I wasn’t very good at being frugal. And so, I understood that about myself and I think it’s important for people to think about themselves as well. Maybe you’re not a great saver and let’s face it, the world that we live in doesn’t encourage you to save. It encourages you spend money. So it is very important to think outside the box in terms of how can you create more value. Ben: I love that. Because I can be a great saver, but only if I’ve got something big coming forward. So something big for me that motivate me to save is buying another property or doing a development deal or something like that. I like thins that pull me forward. I don’t like pushing against things anymore. I love saving for a holiday. Last year, we had our wedding, I had no problems saving for that sort of thing. What I’ve done now, and this is something that I learnt from another guy that Robert Kiyosaki learn a lot from and so did Tony Robbins and that’s a guy called Jim Rohn. He’s probably one of the greatest business consultants of all time and sort of motivational business speakers. I used to listen to a lot of his stuff and he always talked about instead of trying to save and trying to budget, just for every dollar you earn, take a certain percentage out of the budget and just tuck it away. It’s like you never even saw that money. So he talks about investing 10%, saving 10% and giving 10% to church or charity. He, like myself and you, believe in contribution is a big part of where we come from and why we’re doing things. That was a really interesting concept and so, now, and for the last probably 4 years, I’ve just taken a percentage of what I earn away. And every time I get random chunks of money as well. I’ll spend 25% of it to just live it up and to enjoy the ride and I just put the rest of it into a savings account and generally, by the time that savings account’s got enough money in it that I go, “Well, I can do something again.” and that will the time that I start looking around to do something these days. It’s funny how things change so much over time. Ryan: Yeah. I think the concepts that we want to get across to you guys who are listening today is that there are different ways to think about money and I feel like we probably didn’t convey it as best as we could have. 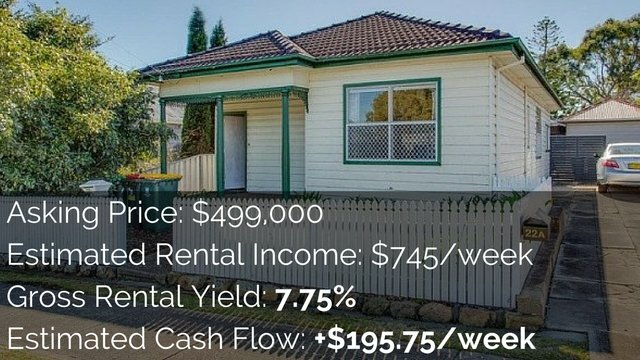 We did want to share our stories to try and give you guys inside that we were basically most of the people in Australia today, working in a job, earning just enough to get by, not really having much progress in terms of our savings. Well, that was definitely my situation. But that when we started thinking about money differently, things started to change for us. This isn’t something you can do overnight. It’s not something you can change straightaway. 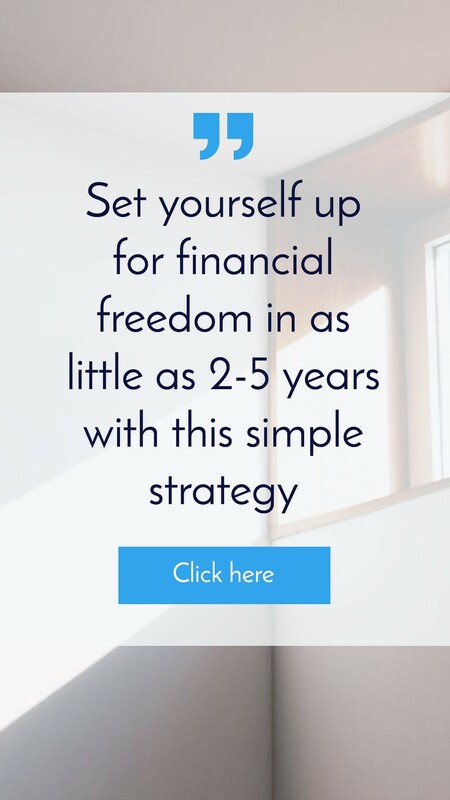 But it’s definitely something that if you do want to be financially free, if you do want to have that sort of security, then you actually need to flip the way that you think about money. And the things that your parents taught you or the things that you just adopted unconsciously from the way that you were raised might not necessarily line up with the life that you want. So there’s some things that you’re going to need to think about and things that you’re going to need to change. The biggest things for me was don’t say, “I can’t afford it.” but say, “How can I afford it?” that was a big one for me. What are some for you, Ben, that you think people should maybe think about adopting? Ben: For me, I was a very, very, very selfish employee and I was always thinking about what can I get out of my situation and how can I get the most amount of X – whatever that X is at the time. Now, it’s all about how can I serve people better? How can I add value to my boss? How can I make them look amazing? How can I make somebody else life’s better? By focusing on other people first, I found it just becomes a lot easier to achieve the things that you want to achieve as well and that took me 10 years to get. It’s a process. It’s not like I’m going arrive at that point today because you have to go through all that hardship or different ideas before you get to that point as well. Ryan: Yeah. And I think for both of us as well, like you were saying with the tradies situation where they want to earn a little bit more hourly, that didn’t seem to fix my problem in terms of the more I earned, I did tend to spend a more because we did tend to upgrade our couch that was 10 years old and we did buy a rug that we hadn’t had for years and been cold. You know, as your income goes up, then also your expenses tend to go up as well and it’s very hard to stop that. And so, I think both of us kind of found a solution towards the goals that we wanted to achieve through a separate path, which was a side business, which eventually turned into a full time business as well. So don’t necessarily just think that, “I need to be more frugal. I need to save more.” Start trying to open your mind to think, “Okay, is there something that I could do on the side that I could generate income from, that I could build an asset or something like that that could generate me revenue and I can use that to achieve financial freedom or use that to save towards financial freedom.” I think that was really key, obviously, for both of us to help us get to where we are today. Ryan: Okay. I think we’re going to leave it there, guys. 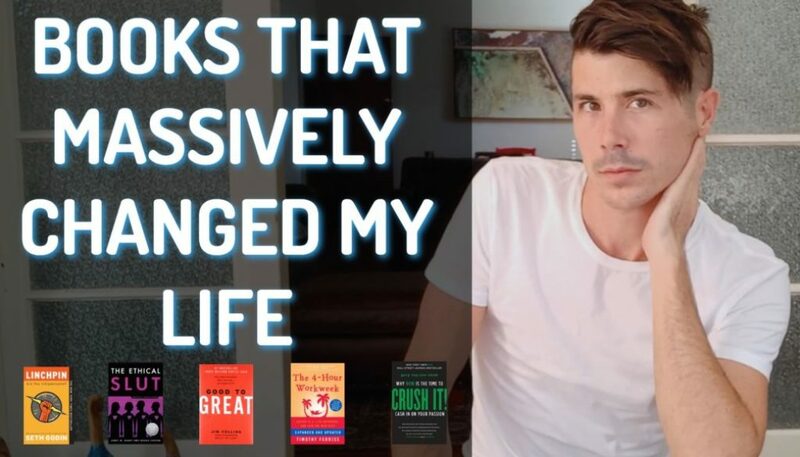 The biggest recommendation that I would have after talking about this is to read Rich Dad, Poor Dad if you hadn’t read it already. As well as probably the second book, which is called Cash Flow Quadrant, which just talks about the different ways that people generate money. 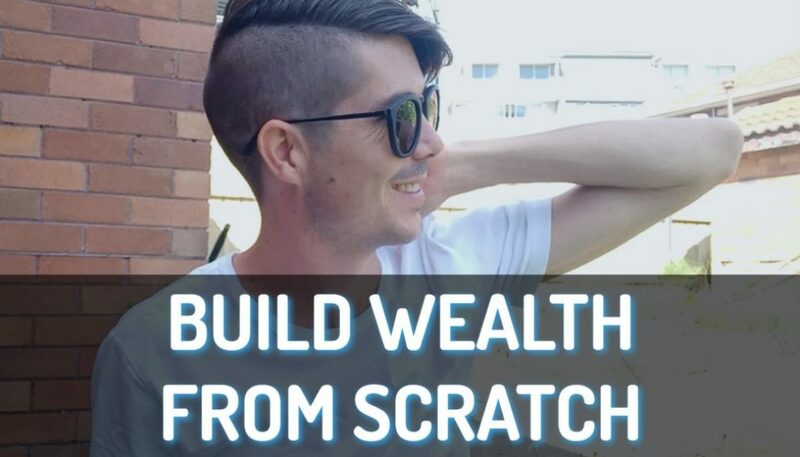 I think if you want to alter your mindset, then reading books about specific property investment strategies or listening to podcast or reading blogs about specific property investment strategies doesn’t tend to do that. You just kind of think, “Okay, here’s one way you can do things.” but something like the Rich Dad, Poor Dad book or Cash Flow Quadrant, actually shifts your mindset and changes the way that you think about money. I definitely suggest anyone who wants to change their mindset, go out and read them because he just conveys it so much better than us as well. And it’s definitely going to help you. That’s it for this episode. We are going to talk about setting goals in the next episode where we’re talking about money mindset and how you can approach things differently and hopefully, approach them better. I’m excited to talk about that in the next episode with you, Ben. That’s it for today, guys. Until next time, stay positive.